Our NOMAD equipment is designed and built to guaranty weld impact treatment requirements and needs on site but also in the production workshop. Its strong design, protected by a transport wheelcase and its STRESSONIC® ultrasonic technology ensure easy access to the areas to be treated combined with an optimal quality of treatment. Our lightweight and portable NOMAD HFMI/UIT equipment is used directly on-site for the treatment of your welded structures (examples: road or rail infrastructure, heavy machinery). 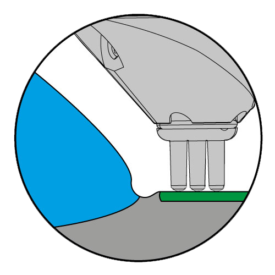 This solution reduces: the resources required for treatment, the infrastructure downtime and the maintenance costs. 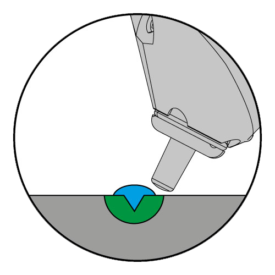 Our equipment is designed to be strong enough to withstand outdoor use. Moreover, our international network, our reliability and our responsiveness mean that we can offer you quality services anywhere in the world. 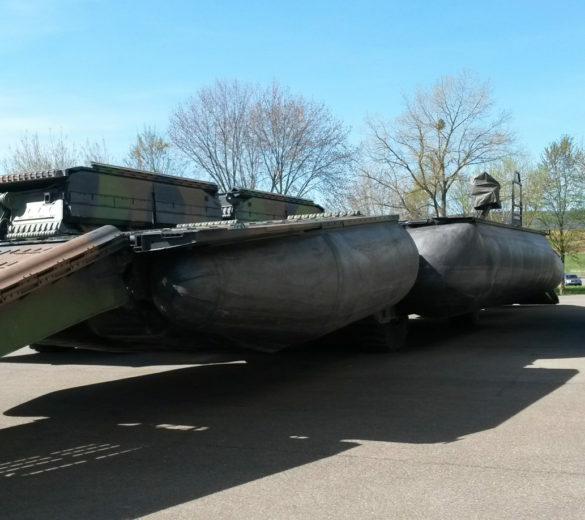 For defence vehicles such as forward crossing vehicles need require optimum quality of the welds and the structure is vital. 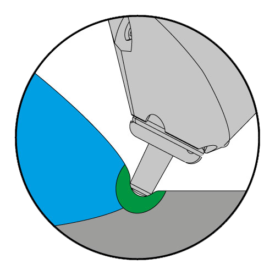 This is why the NOMAD portable device equipped with specific end-pieces (standard and multi-impact) was used for preventive treatment of weld impact treatments and peening of flat surfaces in order to improve resistance to stress corrosion cracking for aluminium alloy defence vehicles. Faced with the increase of traffic and the increase of the transported loads, mechanically welded assemblies of road infrastructures are subjected to considerable tensile stresses. 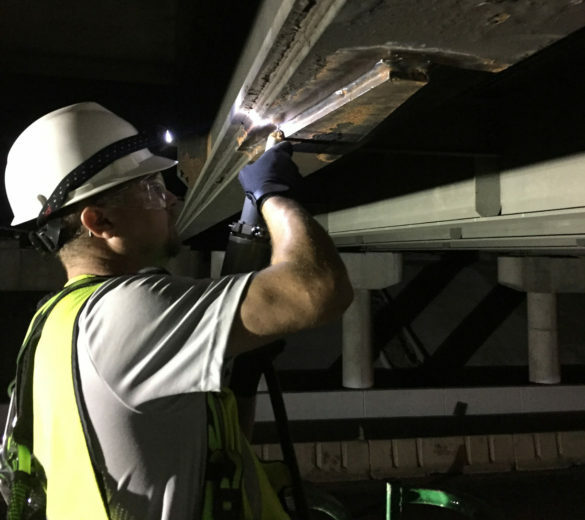 SONATS supplied the NOMAD portable device for curative treatment of platforms on welded steel metal bridges, aiming to repair and improve the lifetime of welds. 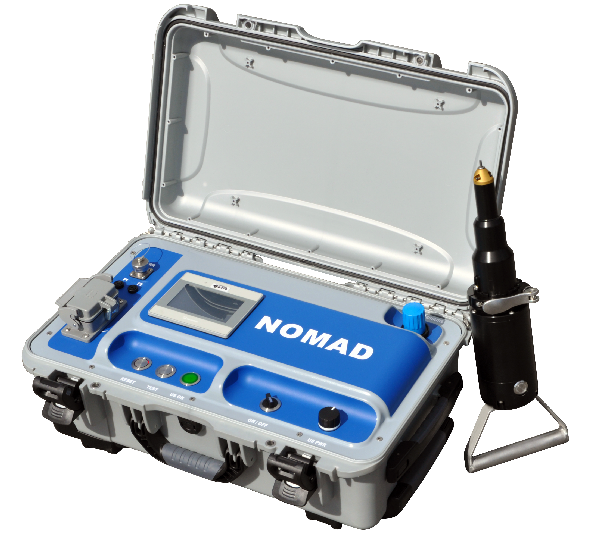 NOMAD was also been used on new bridges in the USA, Canada, Europe and Asia for crack prevention treatment. Marine structures are subject to cyclic stress due to variable loading and the aggressive environment. 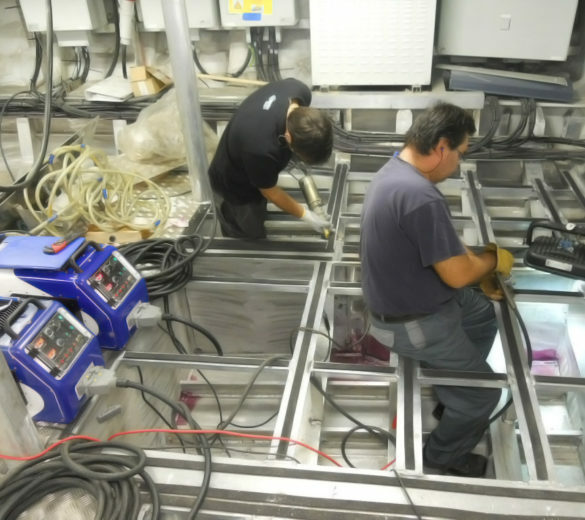 Equipped with a NOMAD fitted with an angled end-piece for hard-to-reach areas, operators applied a curative peening treatment to an aluminium patrol boat that had suffered corrosive and mechanical damage. The frequency of trains and their associated weight are very variable and subject the railway tracks to high compression which cracks the welds of the rails at certain junction points. 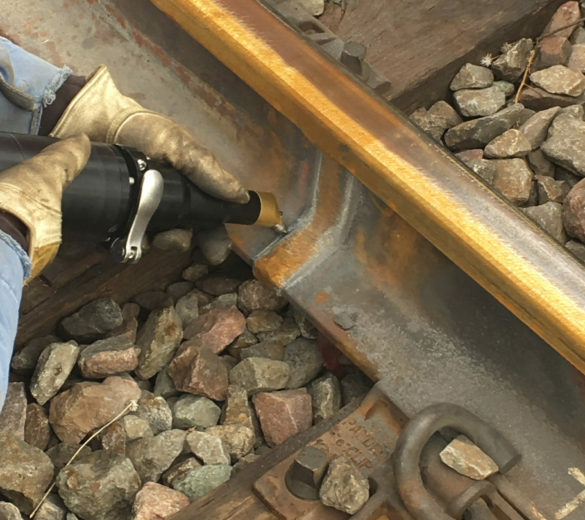 The railway company worked with SONATS to develop a new repair procedure with the NOMAD portable equipment, equipped with a treatment head specifically designed for the work and an inclined end-piece for treatment in the field to access difficult to reach areas.